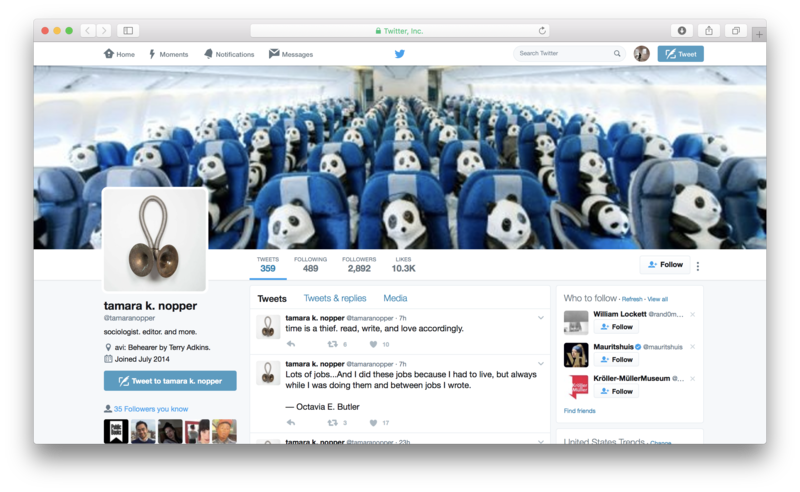 The Twitter feed of Sociologist Tamara Nopper. I’m on Twitter a lot and most of the time I just scroll through whatever’s on my feed, but Nopper’s timeline is one that I seek out almost every day. I deeply appreciate her pace and the timbre of her thoughts—I’ve learned so much from her.